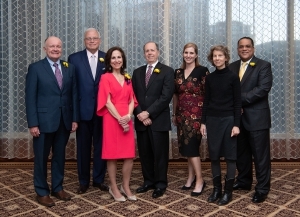 BATON ROUGE – Former president and managing partner of Liskow and Lewis Gene Fendler and LSU Law professor Frank Maraist highlighted the roster of notable alumni honored at the LSU Paul M. Hebert Law Center’s 2019 Distinguished Alumni Celebration. 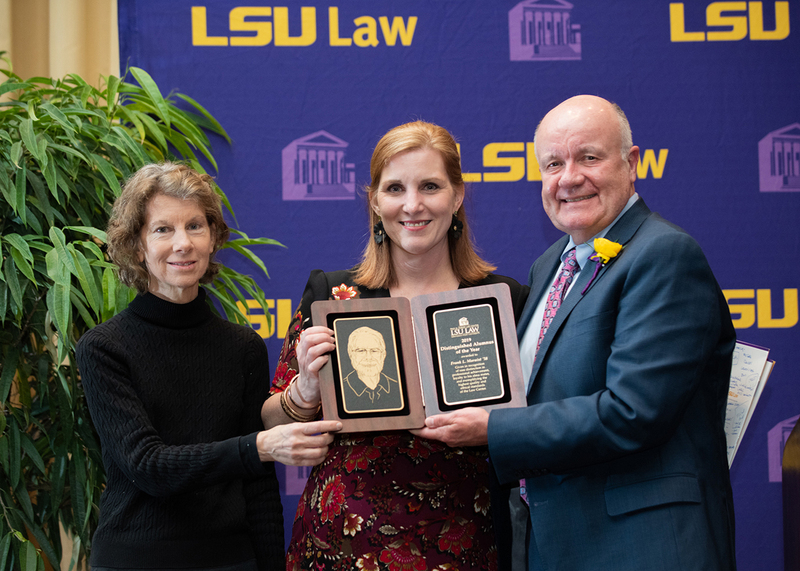 Fendler and Maraist were named Alumni of the Year and three other LSU Law graduates were named Distinguished Achievement honorees at a ceremony March 22 at the InterContinental New Orleans. “(Gene Fender) is an outstanding attorney, known for his ethics, intelligence, civility, and service-mindedness,” LSU Law Dean Tom Galligan said. “His contributions to Law Center are immeasurable, and he is most deserving of this award. 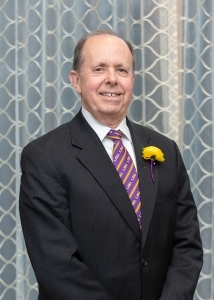 “Frank Maraist is a legend in the legal community and at LSU Law. … Great teachers change lives and Frank Maraist has changed our lives for the better. 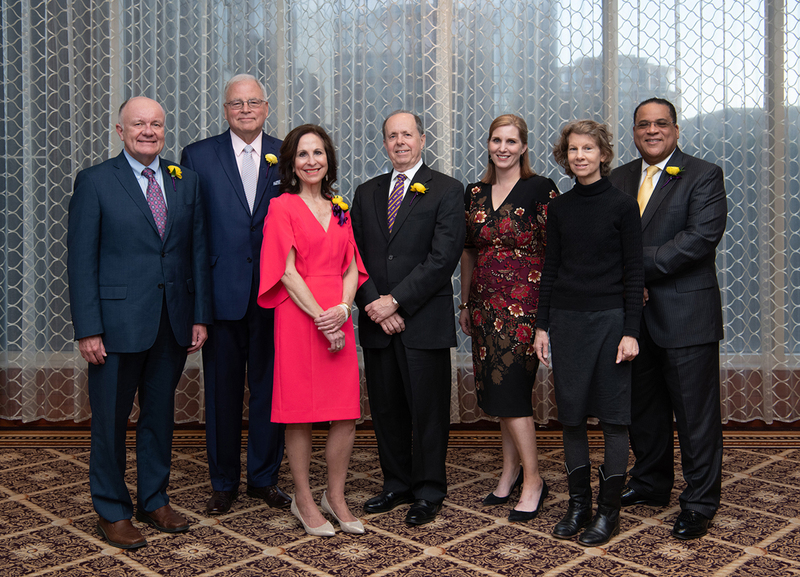 “Our Distinguished Achievement honorees are among our most noteworthy graduates, and we recognize them for their professional achievement, career distinction, and support and service to the Law Center and the community,” Galligan said. LSU Law Center’s Distinguished Alumnus Award is given annually to alumni for rare distinction in professional achievement and loyalty to the LSU Law Center. The Distinguished Achievement awards recognize graduates for professional achievement and career distinction, service to and support of LSU Law, and service to the community. Fendler, the LSU Law Alumni Board of Trustees President, was first appointed a member of the LSU Law Alumni Board of Trustees in fall 2005 and was named President in spring 2010. 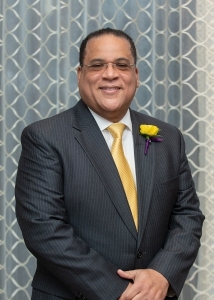 He is a 1973 graduate of LSU Law Center and a former member of the Louisiana Law Review. He is a trial and appellate lawyer with more than 35 years of experience in both casualty and business matters. He is former president and managing partner of Liskow and Lewis in New Orleans, serving in that role from 2003 until 2009. Fendler has also served as President of the Louisiana Chapter of the American Board of Trial Advocates and has been involved with the Southeastern Admiralty Law Institute. He was instrumental in the Liskow and Lewis gift establishing the Liskow and Lewis Visiting Lecture Series at the Law Center, and he has been a long-standing member of the Chancellor’s/Dean’s Council. Professor Maraist delivered his last lecture on July 14, 2011, in Room 110 to a standing ovation from faculty colleagues, staff, and students in attendance. 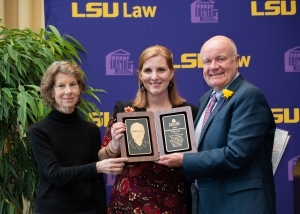 It was a conclusion to a career that spanned almost four decades of positive influence and mentorship of hundreds of LSU Law graduates. He taught classes in Evidence, Torts, Admiralty, and Advanced Torts Litigation. 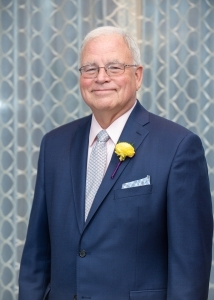 He was a Member of a Supreme Court committee to study financial assistance to clients; frequent speaker at programs for lawyers and judges, faculty director of the LSU CLE program; and a prolific author on Louisiana torts, evidence, civil procedure, and maritime law. He authored 23 books and many more articles. Professor Maraist expanded the reputation and goodwill of the LSU Law Center by teaching and leading in several different contexts. He taught at the law schools of Mississippi, Texas, North Carolina, Tulane, and Washington in St. Louis. He was the longest-serving executive director of the Louisiana Judicial College, an arm of the Louisiana Supreme Court that provides continuing legal education to the state’s judges. He also was the first executive director of the Louisiana Association of Defense Counsel, one of the four largest state organizations in the nation providing continuing legal education for defense attorneys. Because he has taught hundreds of judges, his influence on the development of law has been beyond what one would expect of an influential scholar and teacher. “(Frank Maraist) loved his students. As much as he gave to you, he got from you. You energized him, and he’s proud of all of you and your accomplishments,” said Catherine Maraist, Frank Maraist’s daughter, who accepted the award on Frank’s behalf. Daniels is a member of the Irwin Fritchie Law firm in New Orleans. He is a faithful advocate for the LSU Law Center, serving on the Board of Trustees for many years, and also providing leadership for the Law Center’s Annual Fund a couple of years ago. He is a recognized trial attorney who has tried multi-million dollar cases through to verdict. Daniels is also Past Vice-President and Board member of Big Brother Big Sisters of Greater New Orleans. “When I went across the country trying cases and working with lawyers, that’s the first time that I appreciate the education that I got at LSU. This school and all the hard work you go through gets you ready for the future,” Daniels said. Lipsey is a member of the commercial litigation team in the McGlinchey Stafford Law Firm in Baton Rouge. She also extensively presents in the area of legal ethics, and is often asked to speak on the topic. She has taught for many years as an adjunct professor at the Law Center, most recently teaching The Legal Profession (ethics and professionalism) and Business Torts. Christine is widely recognized throughout the state and region as a leader in commercial litigation. She was the recipient of the Louisiana Bar Foundation’s Curtis R. Boisfontaine Trial Advocacy Award in 2016. She has served on numerous legal committees for the ABA, Bar Association for the Fifth Federal Circuit, LA State Bar Association Board of Governors and House of Delegates, the LA Supreme Court, and the Public Defender Board. She is the former President of the Baton Rouge Bar Association. 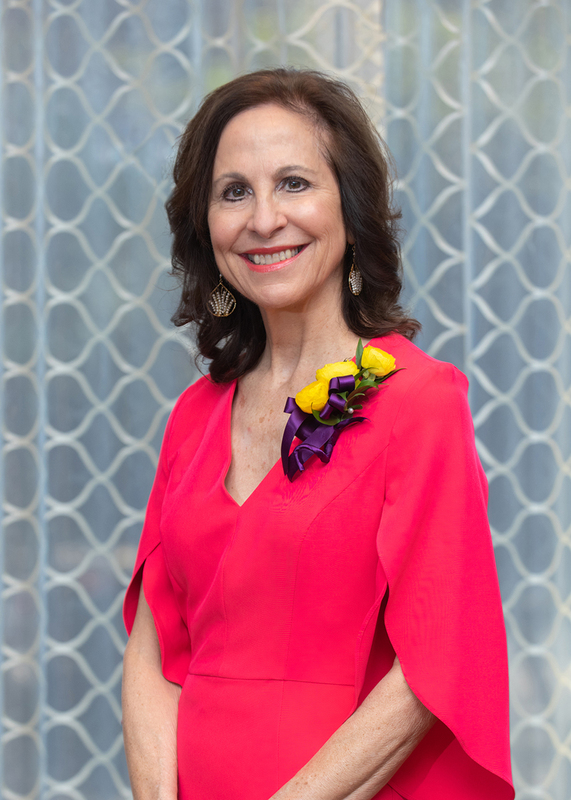 “I feel like I should be giving an award to the LSU Law Center, which provided me with a first rate education and opportunities I certainly would not have ever had without that education. I’ve always felt that I can compete with graduates from other law schools because of this education,” Lipsey said. Nesser retired as executive vice president and chief operating officer of McDermott International, Inc. in 2011, and has since served as the co-founder, manager, co-chief executive officer and director of All Coast, LLC, and as well as a Board member for Thermon Group Holdings. Following its acquisition of Hercules Offshore Domestic Liftboat Fleet in July 2013, All Coast owns and operates one of the largest fleets of liftboats for the offshore oil and gas market in the Gulf of Mexico. Nesser was instrumental in starting the LSU Law Center’s Laborde Energy Law Center and has served as Vice Chairman since inception of the program. “LSU prepared me so well for everything I have faced in my legal career and business career. It’s been a phenomenal experience. We’ve tried cases in Boston against Harvard lawyers. We’ve tried cases in Florida against Florida lawyers. Never were we undermanned,” Nesser said.